Draughtsman chair with faux leather, polyurethane seat and backrest. 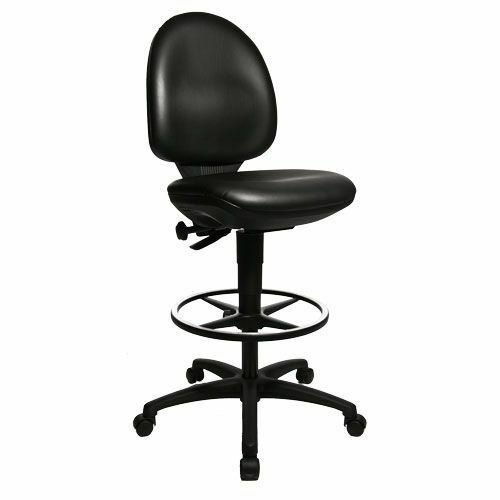 Backrest designed and ergonomically shaped in the area of the lumbar vertebra for maximum comfort. Permanent contact mechanism allows user to adjust the backrest angle. Seat height adjusts between 440-570 mm. Seat height adjustable which can be set to various positions by gas lift.